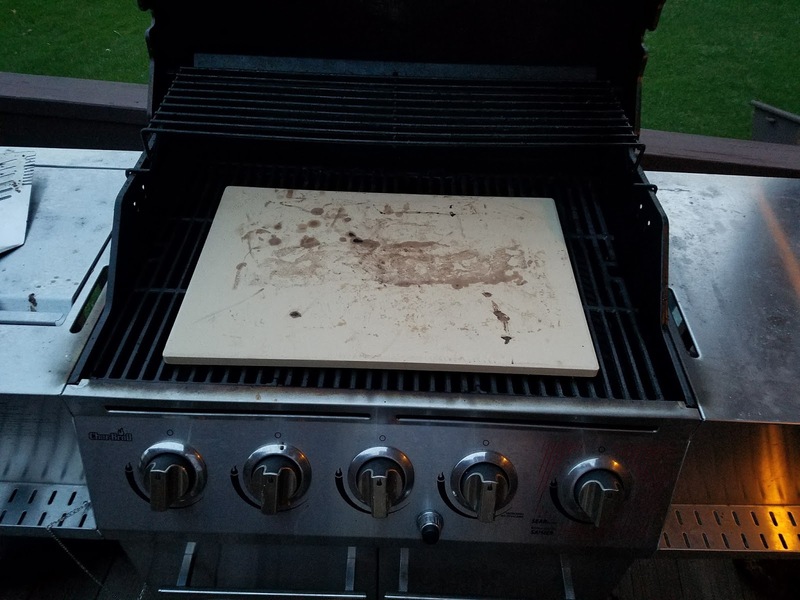 The Pizza Baking Stone that Changes the Game! 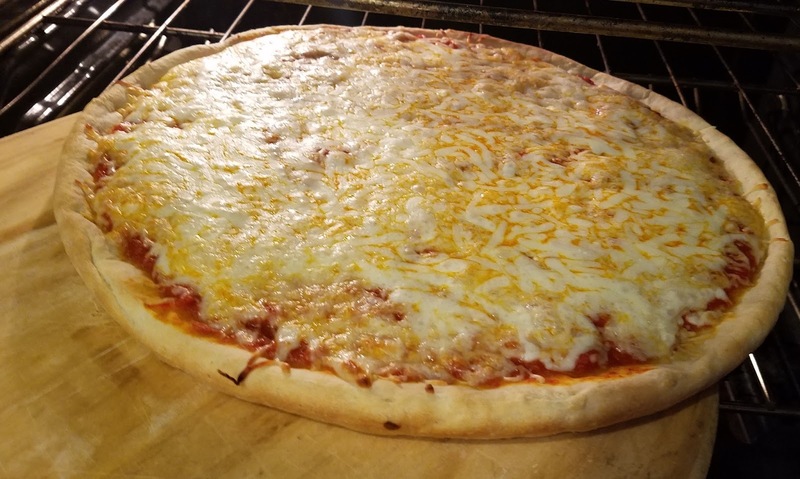 Every pizza maker knows that the biggest difference between the pizza that you buy from your local pizzeria and the pizza you make at home is the oven that the pizza oven is cooked in. Some ovens are conveyors or steel, but in my many years of making and reviewing pizza, there is no substitute for brick oven pizza. This Pizzacraft Baking stone brings the most important element of a commercial pizzeria oven to your home kitchen - the brick. 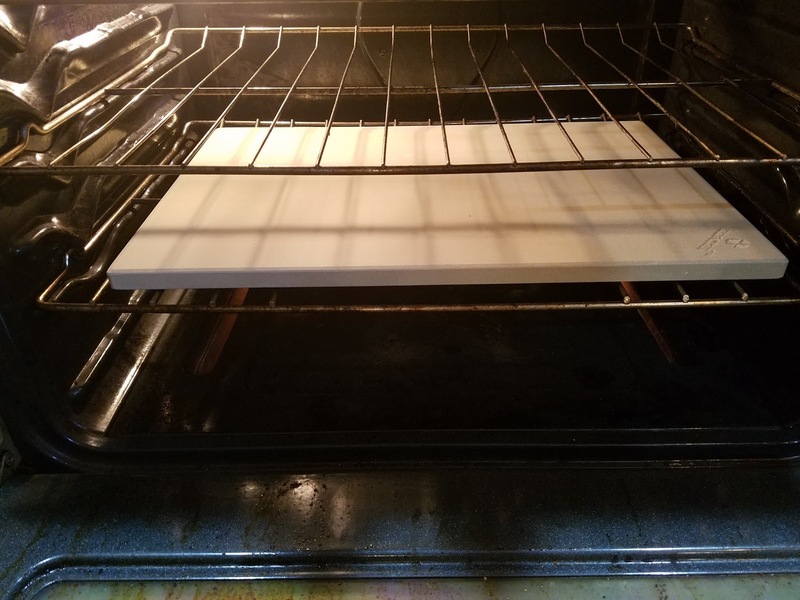 I have owned and used numerous pizza ovens, pizza stones, and even a pizza baking steel in my day, and I have to say this is the best value stone on the market and I'll tell you why! The size of this stone is listed at 20 inches by 13.5 inches, which I measured and verified. 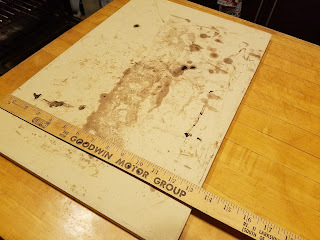 I am able to fit a 14" pizza on this stone with a little overlap, or comfortably crisp up an entire Old Forge/rectangular sicilian pizza with room to spare. Have you ever tried to shake a 12" circular pizza off of a pizza peel onto a 12" circular pizza stone? It's next to impossible to do it perfectly and very stressful. This generous size gives you confidence and room for error. It also allows you to move the pizza from side to side to find warmer spots of the brick. You can definitely fit two smaller pizzas on this stone at the same time. The key to a great pizza stone is its ability to retain heat, and this stone does a great job of it because it is so thick. Most value stones are 1/4" to 1/2" thick which is really not thick enough to hold heat and transfer it to the cold dough. Have you ever tried to make 2 fresh dough pizzas back to back on a thin pizza stone? If you have, you've probably noticed that the crust of the second one is white and doughy. 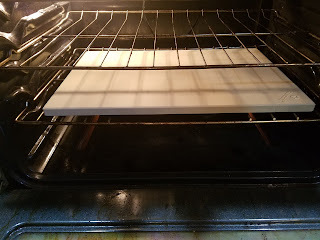 Although I like to allow for a 5 minute recovery time on this stone between pizzas for best results, that is considerably shorter than reheating for up to 20 minutes with thinner stones. This stone is so versatile because it's made of cordierite and can really handle the heat. My oven goes up to 550 degrees and I have not had any issue with cracking or warping. That being said, you should not create "thermal shock" by washing it in water or even touch the stone until it fully cools down. Although this is very durable, I've read that polar extreme temperatures can crack just about any stone. I have seen that people do spritz water on it while baking bread to create steam and keep bread moist. You can also cook other things on this stone like french fries, cookies, fish sticks, or anything that you want to crisp up without the hassle of cleaning up! This thing is also great for reheating pizzas and does a far better job of bringing back the correct texture and flavor than the microwave or toaster oven. It is recommended that you don't ever wash the stone - it doesn't get easier than that! If cheese or anything else gets stuck to the stone, just let it burn off and scrape it into the garbage. As time goes on, the stone becomes seasoned and naturally non-stick just like a cast iron skillet. Leave the soap, water, and elbow grease for the pots and pans because you won't need any of that to maintain this stone! If you want to make an impression at your next pizza night at home, you have to have this pizza stone because it truly makes a difference. The main benefit is that crust is crispier, but the fast heat transfer allows the dough to rise quickly creating those signature bubbles that you see in an authentic brick oven pizzeria which creates a light, crisp crust with a wonderful texture. The pizza also cooks from the bottom up so you'll see that the cheese won't have that awful spotting from the "broiling effect" of the oven. Nothing worse than when the cheese is finished cooking before the rest of the pizza. Residential ovens tend to have "hot spots" in various locations throughout where heat is not distributed evenly. With this product, the heat is transferred into the stone during a thorough preheat and distributed evenly across the surface. This creates a nice uniform crisping across the bottom of every pie. At a price point less than $30 including shipping, I would consider this stone an extreme value considering many entry-level inferior stones are priced between $15 and $25 and don't provide nearly the same performance or results. Are there thicker, more expensive stones and pizza oven conversion kits out there? Yes, but you will find them at 2x, 3x, and 5x+ the price. Some are so expensive that you might consider buying your own pizza oven! Dollar for dollar, this is the best pizza stone I have ever used and I don't hesitate in recommending this to my readers! 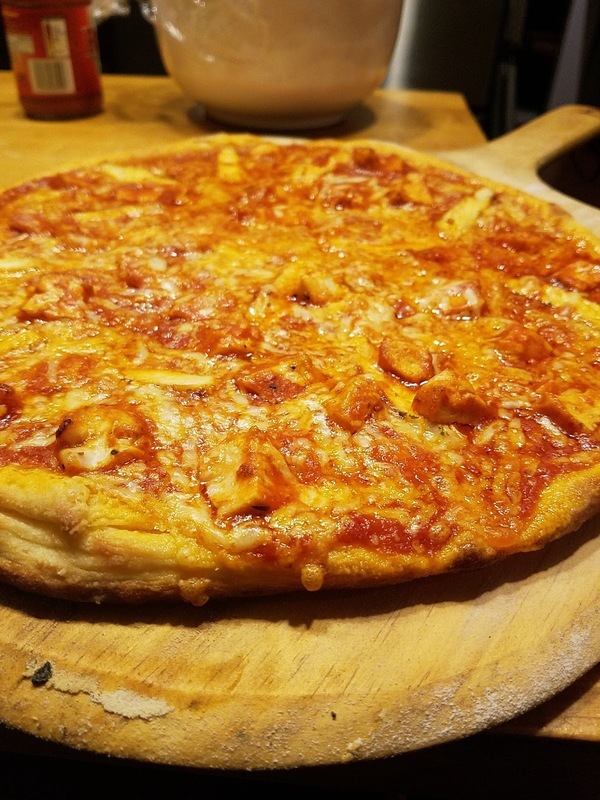 If you have one or decide to pick one up, please let me know what your thoughts are and be sure to send in some of those homemade pizza pics by hitting me up on Instagram, Facebook, or Twitter!